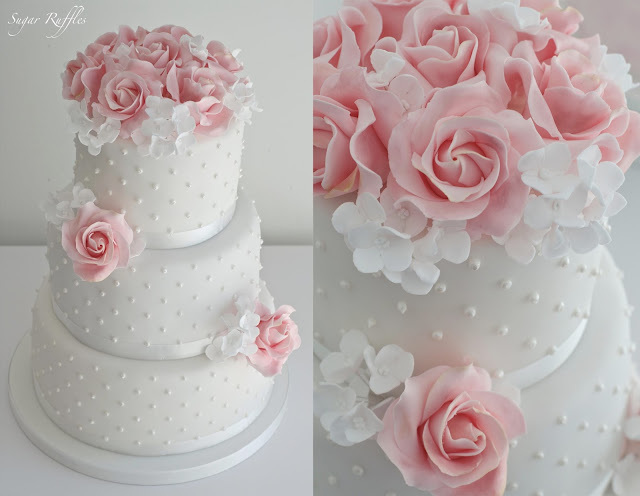 A 3-tier wedding cake with piped pearls and sugar flowers delivered to Cartmel Racecourse for the wedding of Lois and Adam. 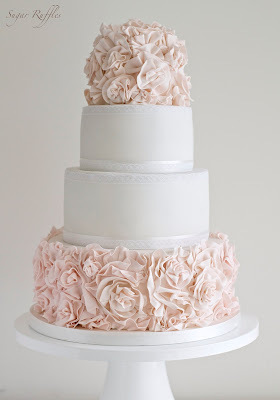 A dusky pink ruffle rosette wedding cake delivered to Cragwood Country House Hotel. 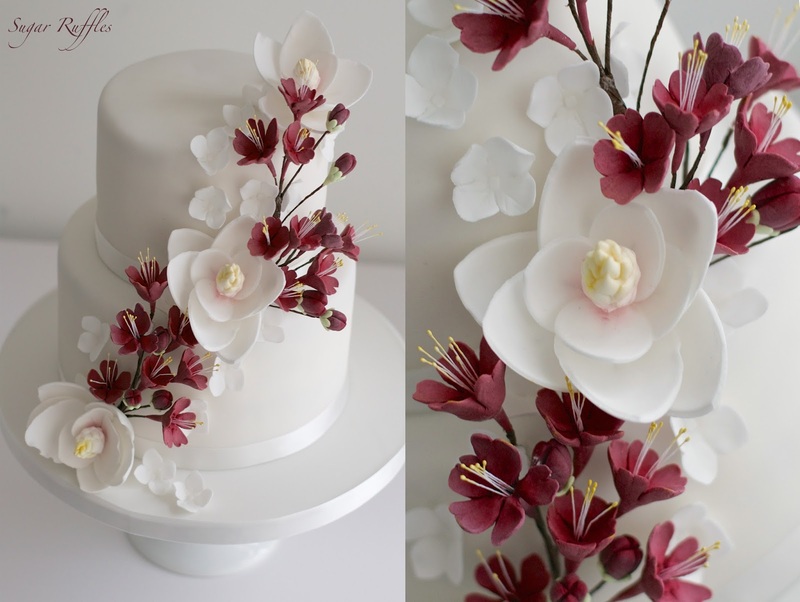 A 2-tier wedding cake with cascading deep red blossoms and magnolia flowers delivered to Low Wood Bay Hotel for the wedding of Mark and Lesley.